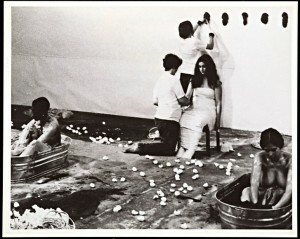 In 1971, Judy Chicago and Miriam Schapiro established the Feminist Art Program at the California Institute of the Arts (CalArts). 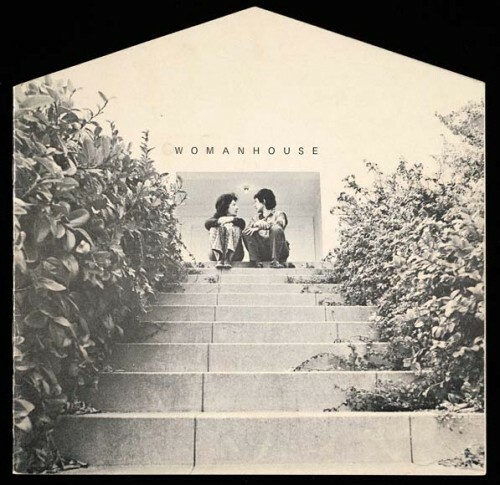 However, CalArts’ new campus was still under construction, so they began by working with the students on Womanhouse, a project through which they collectively transformed a dilapidated Hollywood mansion into a space for installations and performances exploring women’s relation to domestic space. 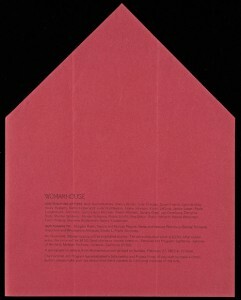 Womanhouse was open for a month in February of 1972. 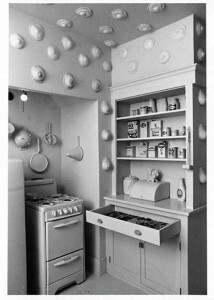 Its profile was greatly raised when it hosted the West Coast Women Artists’ Conference, which hundreds of feminist activists attended.